Italian Historian, Diplomat, Politician and the writer of Renaissance period Niccolo Machiavelli held that “Human nature is to glorify past cry over present and hope for a better and bright future”. His theory of human nature applies and suits the conditions of many countries in the world. Even Afghanistan and its people not being an exception. We will not go into the depth of the story but will summarize and conclude the scenario from the pre-cold war period till date. Afghanistan the land of beauty and brutality is counted as one of the most beautiful countries in the world having snowcapped mountains, lush valleys, and huge deserts. The beautiful streams flowing beside the mountains add to the natural beauty of the country. The country has always been the focal point of invaders and conquerors and for controlling the territory, the Britishers had tried to occupy it three times in 1839, 1879, 1919 respectively. However, they failed in all their attempts. The country which we are seeing today full of bloodsheds, killings, destructions was not such in the shades of history. Zahir Shah, the Monarch of Afghanistan (1933-1973) had a stable and strong central government and ruled a peaceful nation. His dexterous skills of statesmanship greatly helped him to preserve peace by staying neutral in international conflicts and world war two. Back to nineteen-fifties, the country was considered land one of hospitality and honor having diverse and rich culture and a liberal society giving equal rights and equal opportunity to both men and women. From that early times, the country was given special importance because of its geopolitical location by superpowers of the time; the United States of American and the Union of Soviet Socialist Republics (USSR). And the king again by his dexterity implemented many developmental projects by their aids. Although Afghanistan didn’t witness much development in the time of the King; because of the stability and peace in the country, his tenure deserves credibility. The last ten years of his tenure is considered as the decade of Democracy in Afghanistan which came to an end through a white and bloodless coup by his cousin Sardar Mohammad Daoud Khan while the king was on tour to Europe for his treatment and left in exile to Italy for 29 years. 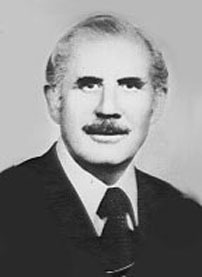 Daoud Khan, a progressive left nationalist influenced by socialist ideas. He changed the monarchical government into the Republic of Afghanistan and became the first President of the country. Peaceful resolution of “Pashtoonistan” was priorities of his work which he raised again and again with the Prime Minister of Pakistan Zulfiqar Ali Bhutto. This visionary ruler wanted to bring the country to the path of development as soon as possible for which he started building highways to connect provinces with the center, dams, tunnels, and established industries and gave much importance to women empowerment. The defining moment of Afghan history came at the moment when the President got suspicious of Russian influence in Afghanistan hence his relations with Russia and the ‘People’s Democratic Party of Afghanistan’ an Afghanistan based communist party became strained. At this time, he tried to build relations with other countries like India, Saudi Arabia, Iran, and the Western nations. Russia was unhappy with the actions of Sardar Mohammad Daoud Khan arranged his assassination along with more than thirty-nine members of his family in the Presidential palace (ARG) by their alliance PDPA in 1978 through a bloody coup. And with that Afghanistan lost a charismatic leader and a man of vision which all Afghans still regret. After his death communist party of Afghanistan took power and Noor Mohammad Taraki became the president. The newly formed government took the policy of coercion and violation of Human Rights by establishing and sustaining their radical communist government. They imprisoned many high governmental officials who worked for King Zahir Shah and Sardar Mohammad Dawood Khan. At the time, father of former President Hamid Karzai and his uncle Khalil Karzai were also imprisoned along with many religious scholars who they felt were a threat to their government. Not only this, they used to suppress their opponents by taking them out of their homes and burying them alive even collectively. Finally, heights of the brutalities resulted in a full rebellion against the communist government in the country. Taraki was killed by his rival Hafizullah Amin in 1979. Eventually, the Russians stepped into Afghanistan in December 1979 and killed Amin and installed a Soviet loyalist, Babrek Karmal. It was at this time when the whole country embraced the insurgent groups called the Mujahideen that was backed by the CIA. Mujahideen was funded by the Saudis and trained in Pakistan to fight the USSR. Hence Afghanistan became a buffer state during the cold war between the USA and the USSR. Mujahideen were fighting the guerrilla war in 80% of the rural areas of the country. Afghans paid enormously in life; with more than two million civilians killed, three million wounded and more than five million migrated to neighboring countries of Iran and Pakistan. After more than nine years after the war, USSR collapsed in Afghanistan and started withdrawing their troops which ended in February 1989. They left Afghanistan and the last communist President Dr. Najeeb Ullah resigned in 1992. The country fell into the hands of the Mujahideen and Najeeb lived in headquarters of United nations until he was hanged on the road with his brother in 1996, by the Taliban. After 1992 the jihadist groups had entered into a constant fight with each other. The religious fighters had, after acquiring power, factionalized and became power hungry with each faction trying to control as much political power at the cost of whatever came in their way. The level of brutalities inflicted upon the innocent afghans was such that almost every part of Afghanistan was traumatized by the violence perpetrated by the sui-disant “Holy Fighters.” The country became a battlefield where commander Masood, Gulbuddin Hekmatyar, Burhanuddin Rabbani, General Dostum and many other warlords were fighting each other. The ordinary Afghans were at the receiving end of their gory crimes. In 1996, a newly emerged group called Taliban, spearheaded by Mullah Umar, conquered Kabul. It was a religious fundamentalist group who formed a theocratic government and got control over 90% of the territory except for the peripheries under the control of Northern Alliance. The government was completely coercive where the veneration of human rights and societal egalitarianism was a distant dream. The 9/11 incident on twin towers in New York in 2001 gave US government a chance to invade Afghanistan asking Taliban government for handing over Osama bin Laden to America. Bin Laden was given a safe haven in Afghanistan. When the Taliban Chief Mullah Omar refused to hand over Bin Laden to the United States, the USA marched in with their forces to occupy Afghanistan and overthrew the Taliban government with the help of the northern alliance. President Karzai was nominated as the President of Afghanistan at the Bonn conference in December 2001 for six months. Subsequently, he was appointed by the Loya Jirga (grand assembly) for two years. In 2004, he became the first democratically elected president of Afghanistan. The foreign Aid started flowing in and Afghanistan once again marched towards development. Great impetus was given to education with importance given to infrastructure projects. The United States helped the Afghan government to come to the table to start talks with the Taliban and other militant groups. The Taliban however, continued their armed struggle to fight it out to bring their supremacy and ultimately topple the government. The war between the Taliban and the Afghan government continued and the people paid dearly with their life and security. The cost of this was is incalculable. The country was losing out in every sector and especially in the proper education of the masses. The damage to the population is still continuing. With the emergence of Islamic State, the Ghani government is sunk in serious security issues.